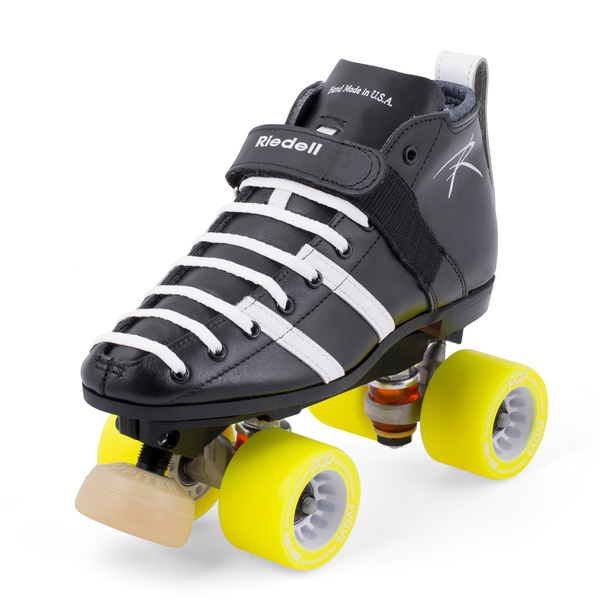 The Vendetta from RIEDELL is particularly designed as a Roller Derby skate that's suitable for beginners as well as advanced skaters. Built on a standard D/B sort, the 265 boot offers a flexible fit and a wider toe box, which makes it an extremely comfortable and form-fitting boot also for wider feet. The padded Dri-Lex® lining wicks moisture away from your feet. The boot is paired with the fiberglass re-inforced PowerDyne Reactor Fuse nylon plate. The Vendetta is completed with the Radar Pop, the perfect wheel for derby skaters looking for a grippy, long-lasting wheel, that give you security even on smooth and dusty floors. 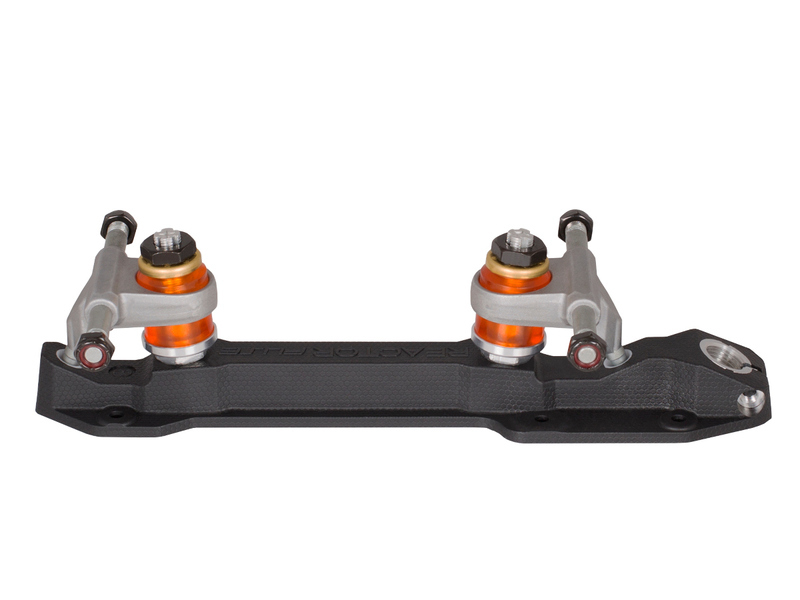 The KwiK Zenith bearings provide a long smooth roll, and PowerDyne Jupiter Toe Stops provide a stable base and amazing grip.